A white and a grey cat are napping on a window ledge. 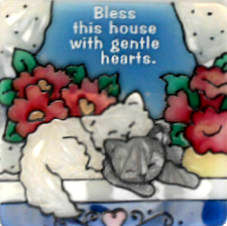 Words on the magnet: Bless this house with gently hearts. 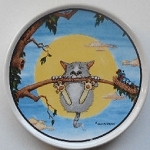 This magnet is 2 1/2" wide x 2 1/2" high. Previously owned but in good condition.